(SAVANNAH, GA) Joe Marchese, immediate past president of the Lowcountry Down Syndrome Society (LDSS) in Savannah, and Ariella Scalese, forecaster for the WSAV Storm Team 3, have been chosen as the emcees for the Hearts for Healing Gala to benefit Faith Equestrian Therapeutic Center. The second annual event will be held on Friday, Feb. 9, at the Tybee Island Wedding Chapel. Faith Equestrian is a non-profit organization founded to improve the quality of life for children with special needs through therapeutic interaction with horses at the center. 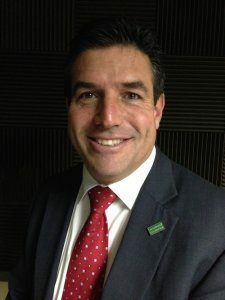 Marchese, who has years of experience in the differently abled community, will help guide the night’s activities, which include dinner, dancing, a silent auction and live music from the John Brackett Quartet. 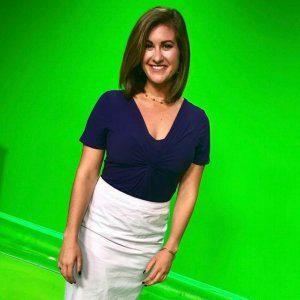 Scalese graduated from Lehigh University, where she earned a Bachelor’s degree in Earth and Environmental Science and minored in Mass Communication before coming to Savannah to continue her career in broadcasting. Scalese volunteers for a number of organizations including Faith Equestrian. Faith Equestrian serves children with all types of challenges, including autism, cerebral palsy, Down syndrome, learning disabilities and behavioral disorders. Interaction with the horses allows the students to build strength, develop coordination skills and gain confidence in an outdoor and supportive setting. The gala is the center’s largest fundraiser of the year and helps cover the costs for children to participate in the Faith Equestrian program. Doors will open at 6:30 p.m. for the silent auction; the reception will begin at 7 p.m.
Tickets are $150 and may be purchased at http://www.faithetc.org/hearts-for-healing-gala/.